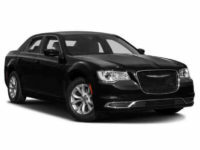 Get the best new Chrysler deals in New York when you let us work for you. Our team is dedicated to helping everyone get into a great vehicle that they will love, while also saving a lot of money. While leasing a car is always going to come with a lower payment than buying it outright, we can help you save even more by finding you the best auto leasing specials possible on the exact car you are interested in. 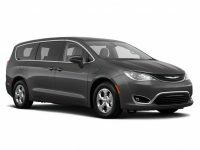 For those who love Chryslers, we can get you a Chrysler leasing deal on the model you love, with the exact trim package and features you want. This is possible because we aren’t like other leasing agencies. We don’t have a traditional car lot that limits us to only a couple hundred cars at the most. Instead, we are a ‘virtual’ car lot, which means you can shop online and look at all we have to offer. If you see a vehicle you love, let us know and we can set up a test drive for you (we can even have the car brought to you for a test drive). When you choose the perfect vehicle, we’ll negotiate the lowest lease rates and help you get the right financing terms so your monthly payment is lower than you would have thought possible. From beginning to end, we will work hard to ensure your lease experience is the best it possibly can be. We can help you lease any make or model vehicle you are interested in. Whether you want a Ford, GMC, BMW, Cadillac, or any other type of car, we can get it for you. 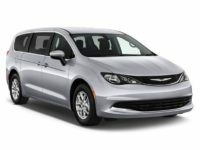 For those who are interested in a Chrysler, for example, we can get you any model that you are interested in. This includes models such as the 200 Convertible, 200 Sedan, 300 Sedan, and the Town and Country minivan. These are all great vehicles that are very reliable, comfortable, and a lot of fun to drive. You can pick which of these models you want, and what features you’re looking for, and we’ll make it happen. We can also get it in the color that you would like so you will love everything about your new car. On top of finding the right make and model for you, we’ll also negotiate the right leasing terms. If you want a shorter lease, we can make that happen. If you want something longer, we can do that too. We will work hard to make sure everything about your Chevrolet auto lease is exactly how you want it. If you would like to learn more about how we can help you lease a new Chrysler in NYC, please don’t hesitate to give us a call at 929-239-3040. Our team of car leasing specialists will be more than happy to talk with you about what you need, and how we can get it for you.Thanks for considering NYC Car Lease for all your Chrysler auto leasing deals in New York.